We are very happy to report that we have been awarded 4 stars (out of possible 5!) from Julie's Bicycle Creative Green Assessment for our actions and efforts in making sustainable theatre. Creative Green is a certification from Julie’s Bicycle which provides organisations with a systematic, achievable and inspiring approach to environmental sustainability. It celebrates environmental success and shines a light on areas for improvement, and gives your organisation a star rating from 1 to 5. 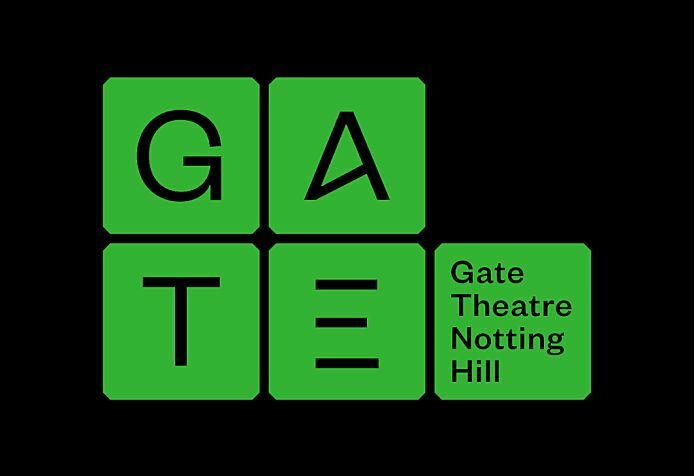 Founded in 1979, the Gate is a 70 seat, flexible-space theatre above the Prince Albert pub in Notting Hill, renowned for its reputation for training the artists and theatrical leaders of tomorrow. Its core mission is about sustaining not just its own precious and intimate experience for audiences and artists, but also about helping to sustain the wider theatre industry by acting as a training ground for future generations. Under Artistic Director Christopher Haydon, the Gate’s programming continues the theatre’s fine reputation for staging international work – and now specifically presents pieces that interrogate the forces that shape our societies, asking our audiences to think more about their place in, and responsibilities towards, our world. The Gate Theatre, like many small-scale arts organisations, is continually aware of the concept of sustainability: operating in an environment of limited resources but aiming to celebrate the highest quality of standards regardless. The Gate’s missions and aims, as outlined in our Business Plan 2012-15, centre around sustainability – how to protect, maintain and increase the quality of our work; the quality of our audiences’ experiences; and the quality of our artists’ experiences which often come at a key time in their emerging careers. As such, we see environmental sustainability, Green Gate, as intrinsic to our mission: The Gate is here to feed current and future audiences and artists – we recognise that we and all businesses and individuals have the responsibility to work in an environmentally stable way in order to ensure the continued health of our planet for those future generations; the Gate has been a nexus for communication between London and the rest of the world ever since it was founded – we now aspire to be a platform for social debate and awareness raising, and this includes communicating the need for environmental sustainability from us all in order to support the global community. As amenity prices rise, the Gate must also take action to manage those costs to avoid a negative impact on the company’s finances. The Gate will continue to keep in line with local, national and international developments surrounding Climate Change and in particular the work of COP21 and the Creative Climate Coalition. The Gate will pledge to work in such a way as to strive to keep global temperature rise below 2 degrees celsius, this century, and to drive efforts to limit the temperature increase even further, to below 1.5 degrees celsius. In line with the Creative Climate Coalition, the Gate pledges to; take action ourselves to make our work more sustainable; speak out and up, using our voices to accelerate positive change; jointly support one another through sharing campaigns and knowledge; and using our creativity to contribute in finding and scaling solutions. Our ambition is that the Gate must have an impact larger than its intimate black box. Whilst we recognise that we have limited financial means and limited control on our buildings, we hope that our legacy can be environmental, as well as artistic. - Communicating with and engaging the Gate’s audiences on environmental issues, in line with our Audience Development Plan to bring our audiences closer to our work. - Assessing all options for business travel, Offsetting our carbon footprint as far as is practicable. This Green Gate Policy is reviewed on an annual basis by the Gate’s Board, and updated as and when necessary. This Policy is supported by a Green Gate Action Plan complete with targets, timelines and named people responsible for delivering them, which is also reviewed and updated on an annual basis by management and the Board. In 2016 we received 4 our 5 stars for our commitment to Green Gate. In 2016, total waste generation decreased by 66% compared to 2014/15 and 55% of all waste in 2015/16 was recycled. We continue to ensure that we work with local partners and suppliers and put Green Gate at the front of our agendas. We will continue to work with Production Managers to limit waste with each show and we will strive to communicate our Green credentials and agenda with our audiences. In the coming months we will switch our air handling unit to an environmentally friendly version. We made sure that Green Gate is always on the agenda, switching to green couriers and suppliers where possible, insulating office doors, and changing to a sustainable paper supplier for our printed playtexts. The Gate transferred dressing room and office lights to LEDs/energy efficient bulbs, switched energy suppliers after working with an energy audit company, installed water saving devices, recycled more props/sets, and reduced printing and monitored waste. You can download a copy of our policy by clicking Green Gate Policy.